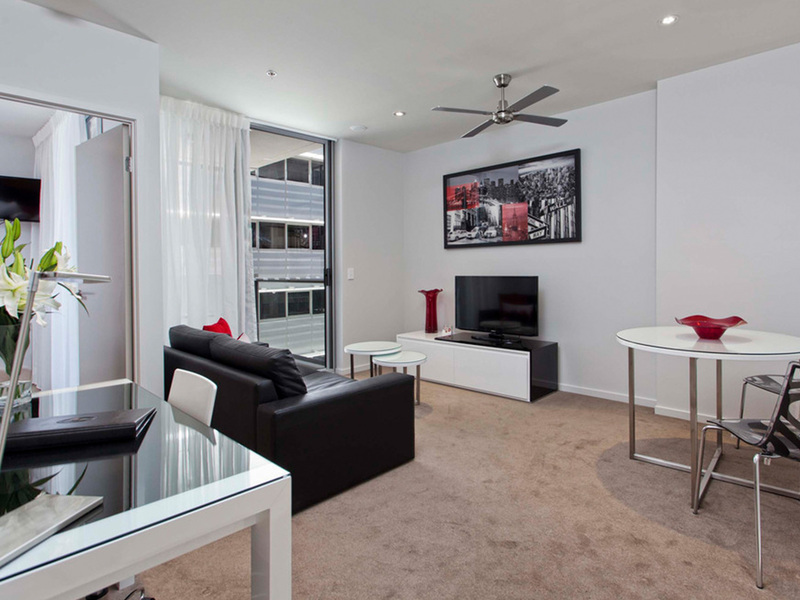 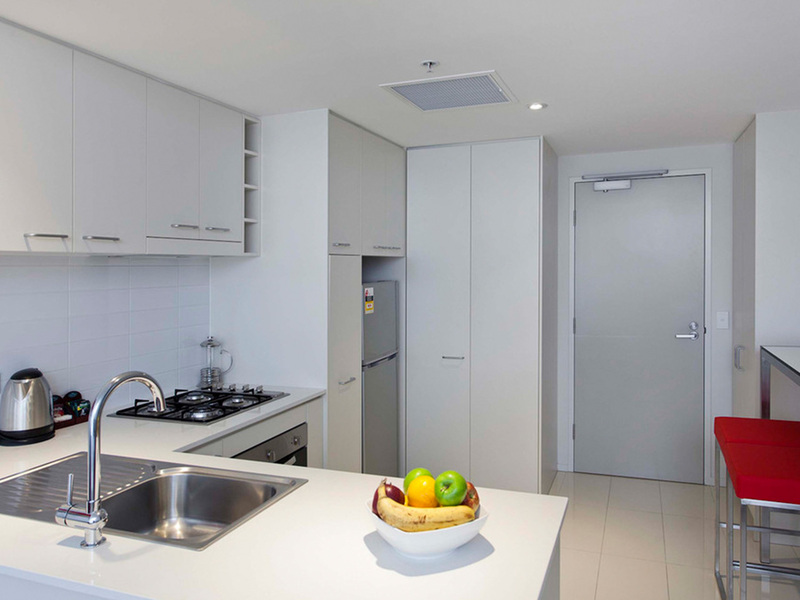 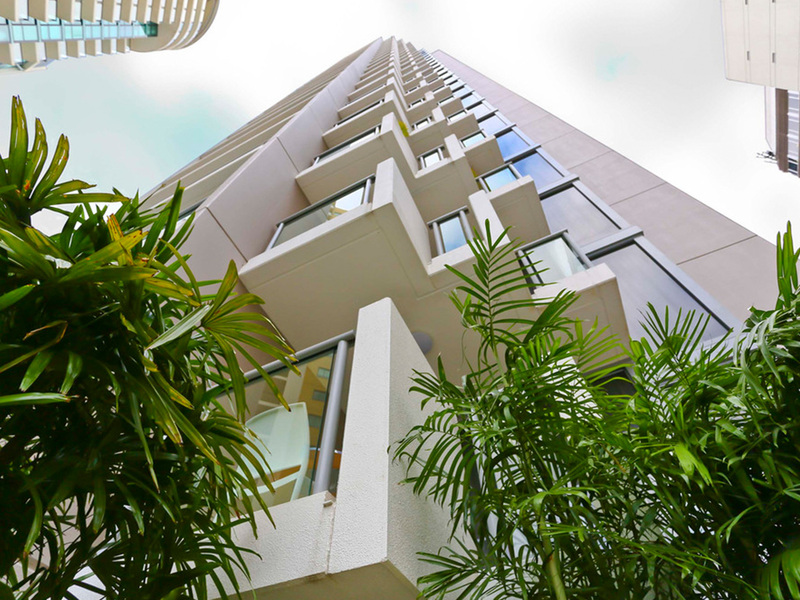 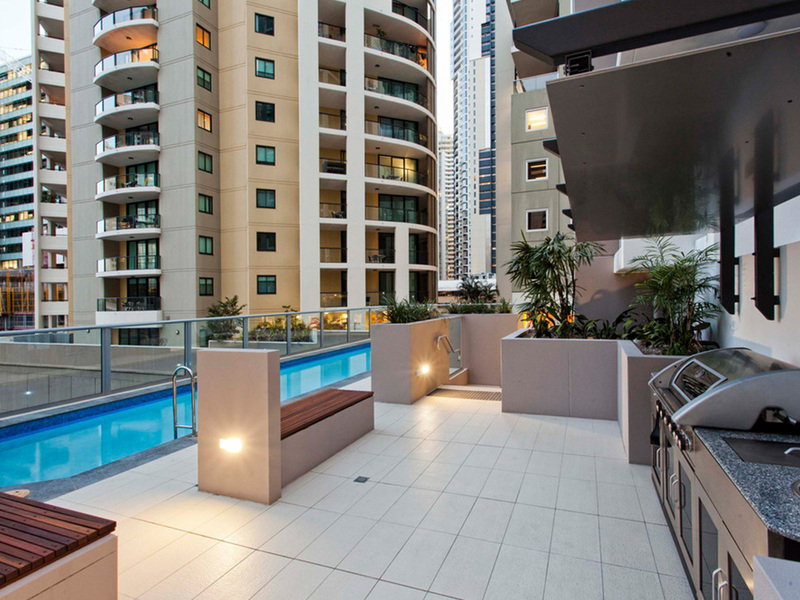 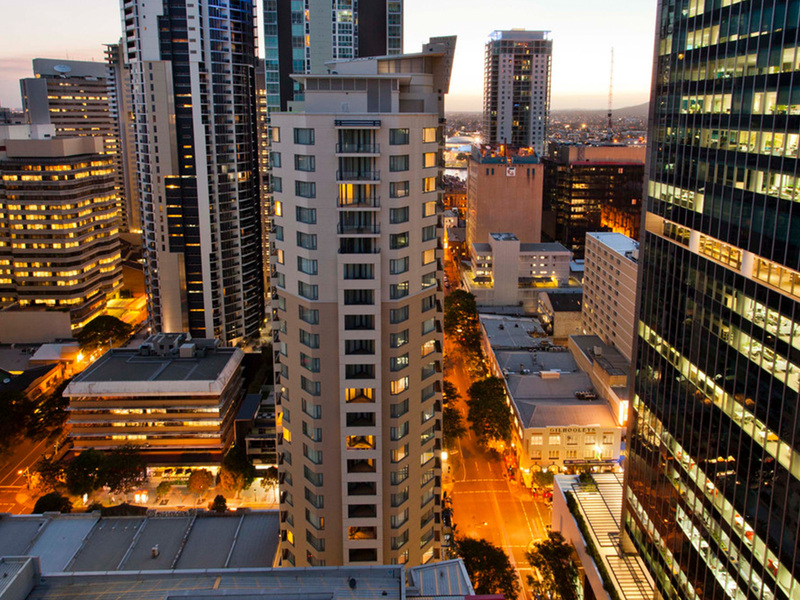 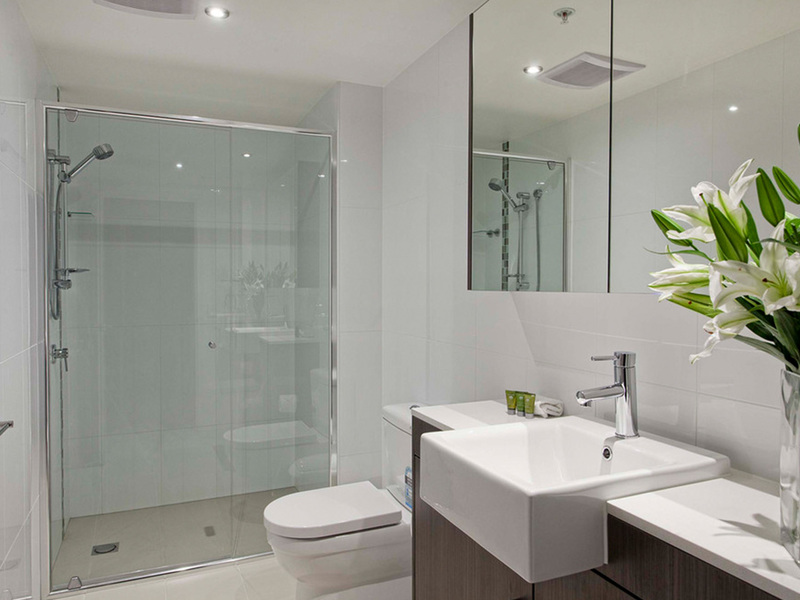 Welcome to Mantra Midtown, the ultimate choice in Brisbane accommodation. 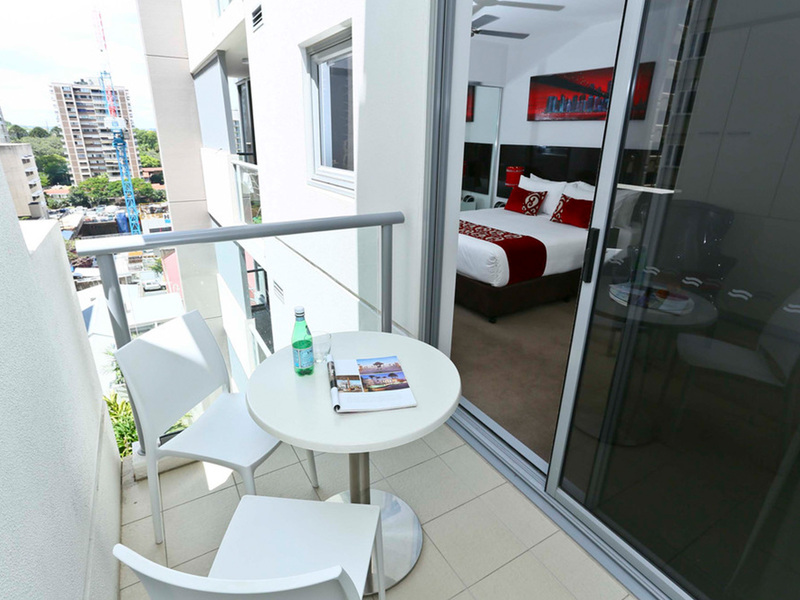 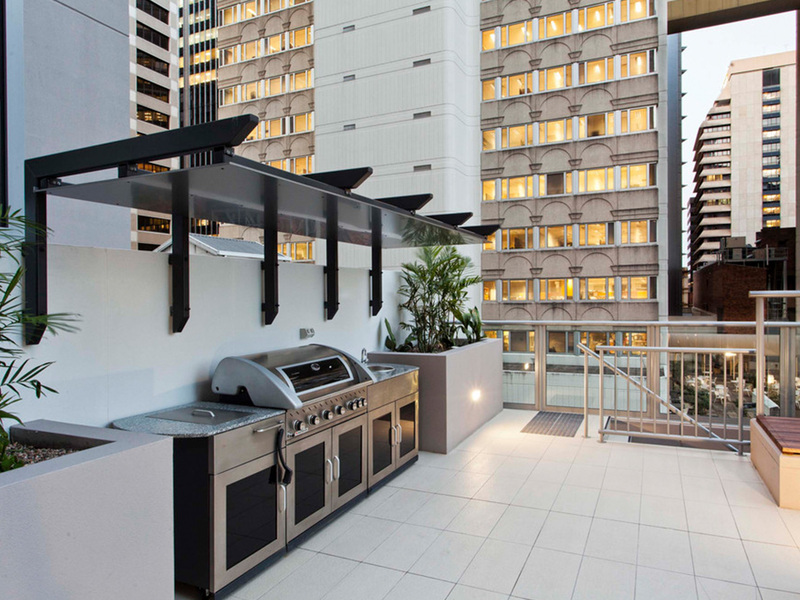 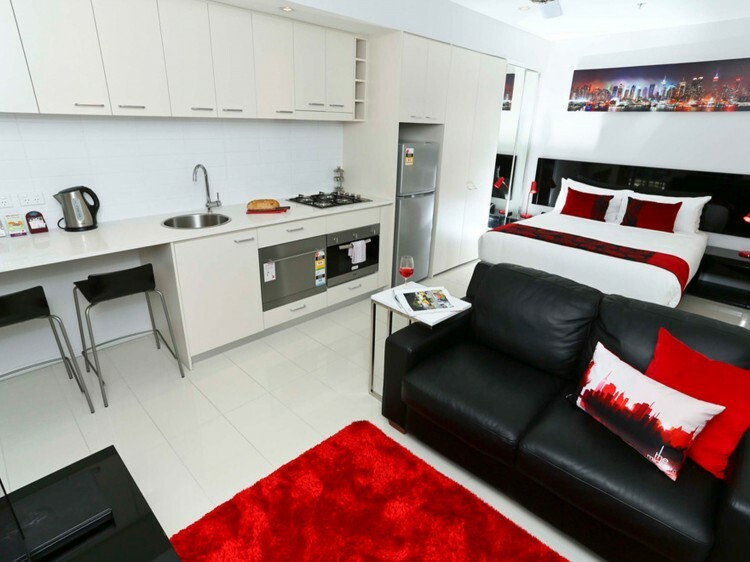 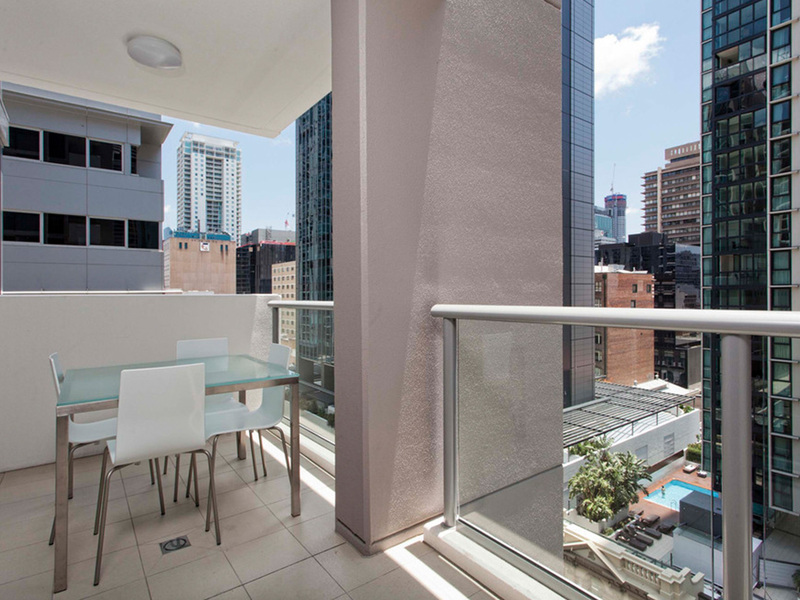 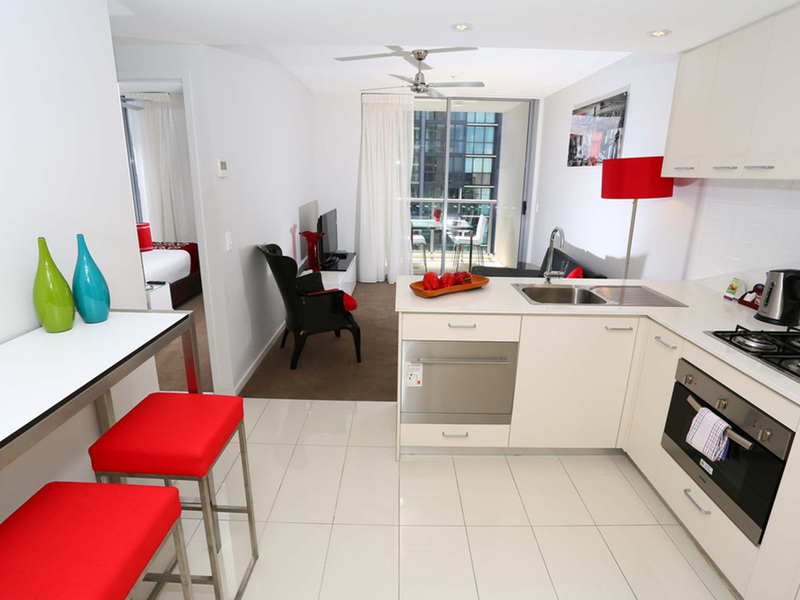 Occupying prime position within the Brisbane CBD amongst the financial and government districts, this modern and stylish Brisbane hotel offers flexible living in self-contained Studio, One Bedroom, One Bedroom Executive and Two Bedroom Apartments. 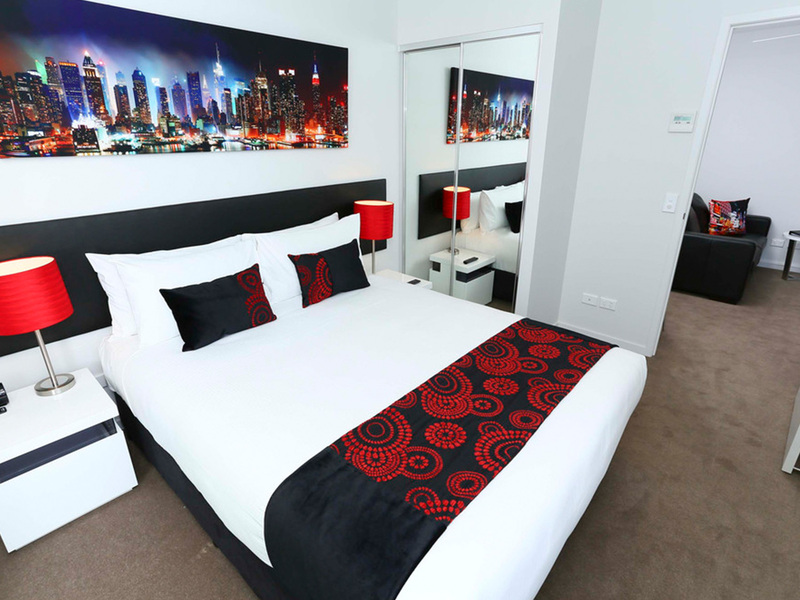 This contemporary hotel is close to universities within easy walking distance to Queen Street Mall, South Bank, Riverstage, The Brisbane Botanic Gardens and the Brisbane Convention and Exhibition Centre. 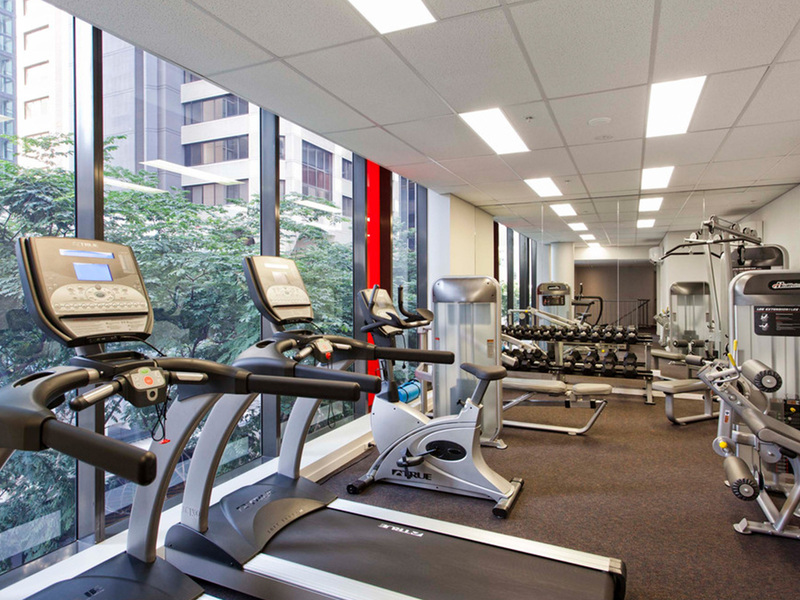 Onsite you’ll find a boardroom, fully equipped gym, outdoor pool and barbeque area along with an invigorating sauna. 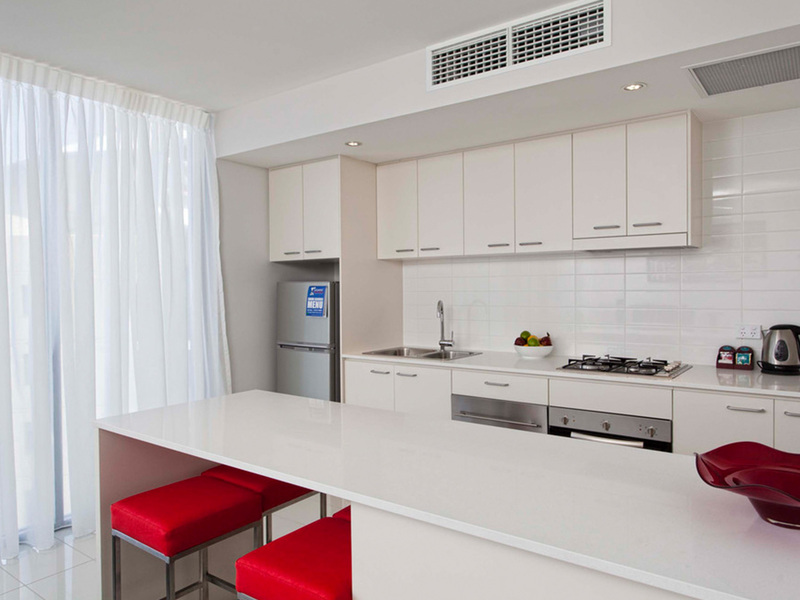 Each fully serviced apartment features a fully equipped kitchen, living and dining area, private balcony, laundry facilities and air conditioning, as well as entertainment features like 40” LCD TV in the lounge area and 32” LCD TV in the master bedroom. 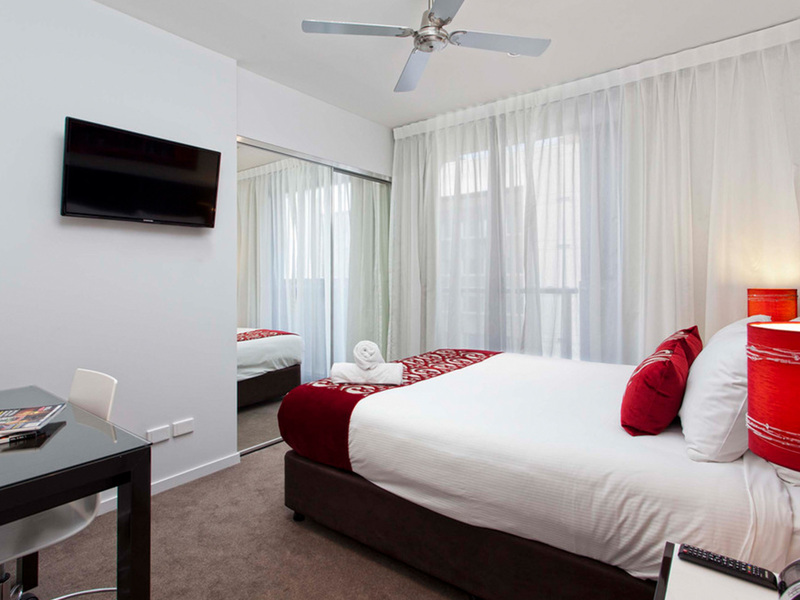 You can also enjoy Foxtel, iPod dock (with digital alarm clock), hairdryer and tea and coffee making facilities. 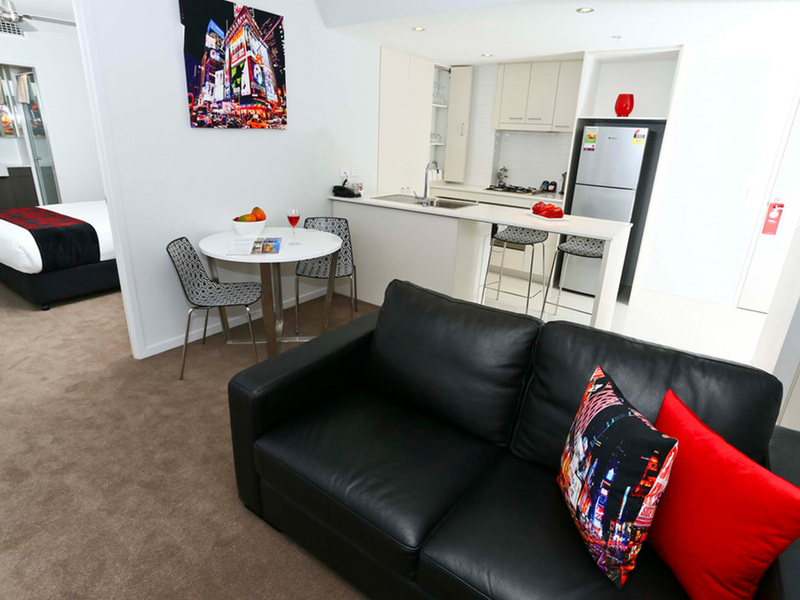 The beautifully appointed and contemporary apartments offer 30 minutes complimentary WiFi.